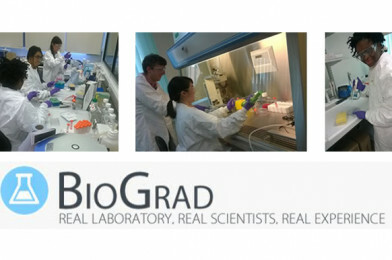 Biograd are launching a fantastic selection of School STEM trips to Liverpool Science Park. Take a look at the fun, interesting and exciting options below. What do scientists REALLY do all day? • Schools may wish to link this trip with a visit to one of the many museums in Liverpool city centre for ‘added value’ with no additional cost. • Working in small groups, students will be provided with a range of case files containing all the information required (including times and locations of suspects rendezvous) to set them on their path to solving their crimes! Students (and teachers) will travel on foot to different locations in Liverpool city centre to collect evidence, observe crimes and even interview witnesses before returning to the laboratory to perform their analysis. Students will be provided with the opportunity to present their findings and learn which team will be awarded with the ‘best spy’ prize! • Students will learn about the ‘big business’ of medical research and drug discovery, including how changes in the global economy are affecting investment and scientific research in the UK. 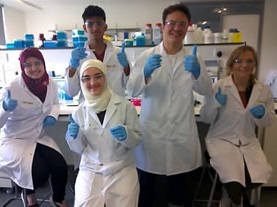 After this students will be given a tour of the research laboratories at Liverpool Science Park, learning about the economic cost of research. Students then work together in small groups to pitch a scientific device/drug in the ‘Dragons Den’ and will invest their money in one medical research project before learning the outcome of their investments (using ‘real world’ examples). Some investments will return billions of pounds, whilst others will lose everything! • Runs 09:30 – 16:00 over 5 consecutive days.